Home / Google Android / Rumors / Anyone interested in knowing more about Samsung X Google’s Ice Cream Sandwich event tomorrow? 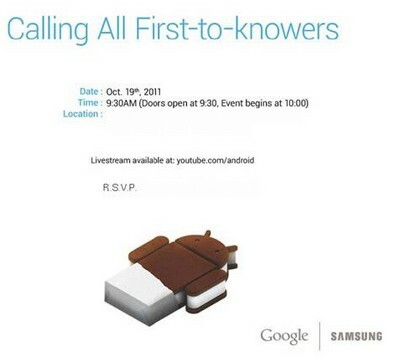 Anyone interested in knowing more about Samsung X Google’s Ice Cream Sandwich event tomorrow? We will be live blogging on the Google X Samsung event tomorrow, taking advantage of being in Hong Kong. Do pay attention as this will be the very hot topic after the launch of iPhone 4S and this might give us some clues as to what our next generation smartphone might look like. For those who are sad with iPhone 4S, it is time for you to think about switching to Andriod! Next Article » Blackberry says "sorry, here are some apps"
Android version whatsapp to have a new interface.